You want your children to get to know God better, but how do you do that? Between homework, errands, and extracurricular activities, it’s hard to find time to get the whole family together. Family devotions are an excellent all-in-one way to get your kids to draw closer to God and closer to you as a parent! Whether you have five minutes or forty-five minutes, family devotions can fit perfectly into your busy schedule because you can customize them however you like: do you want to focus on a Bible passage or do you only have time to do a verse or two in context? Is there time for questions or a related activity? You get to decide! One of the important factors of a successful family devotion time is buy-in; so how do you get everyone excited about devotions? You know the benefits of spending time together and spending time in God’s Word, but what if your kids are totally new to family devotions? 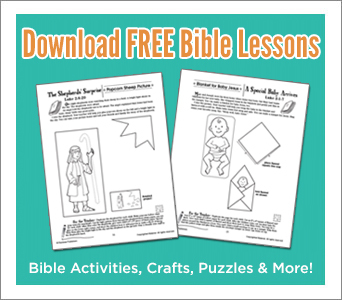 Here are 8 practical ways to get your little ones eager to get into the Bible! 1. Talk the devotions up. Bring the devotion ideas into family mealtimes and drive times. Chat about the scriptures, talks, and activities. 2. Capture the fun in pictures. Be sure to take photos of the activities when possible and build a family memory keepsake by adding the suggested art, thoughts, and photos to the scrapbook/prayer journal. Use visuals and sounds affiliated with stories to tap into a sight, sound, and touch for deepening the impact. Act out passages. Why not cook foods that relate to Bible times? This helps children experience and understand Bible times. 4. Pray with a prayer cup. Decorate a plastic cup with permanent makers. Cut slips of paper and write the names of each family member on one. At the end of each devotion, let each member draw a name to pray for that person. Or you can have someone draw one name at a meal and then, as a family, pray for that individual. If desired, add names of other family members and friends to pray for them too. 5. Connect with one-on-one time. Consider doing some activities with one child at a time. Children love this special bonding time with a parent. 6. Memorize the week’s opening scripture. Read the verse daily and talk about what it means. After a few days, say some of the words and see if they can finish the verse. Recite it together. Look up fun memory verse games online. 7. Provide each child with his or her own age-appropriate Bible. Having their own Bibles helps increase their interest. You can also provide journals or prayer notebooks. Match these items to your children’s ages and learning styles. Visual learners want more pictures and charts; analytical children enjoy charts and facts; social learners like profiles about people and places. 8. Share what you learn. Invite friends to join you for some of the devotions. Share the memories and how the devotion time helps your children and you grow in faith and other areas. Covers topics that matter to your family, such as: praying, belonging in our family, overcoming fears, trusting in God, and more! Optional Chat Prompts That Will Get Your Family Excited to Talk about God! Your family will connect with God and with each other as they answer these discussion-generating questions based on key Bible stories. Includes 3+ questions for each devotion and a wrap-up section to discuss what you learned! Features 150 Hands-On Devotional Activities, including crafts, games, scrapbooking, team-building challenges, and even snacks! Each devotion includes at least 5 optional activities.